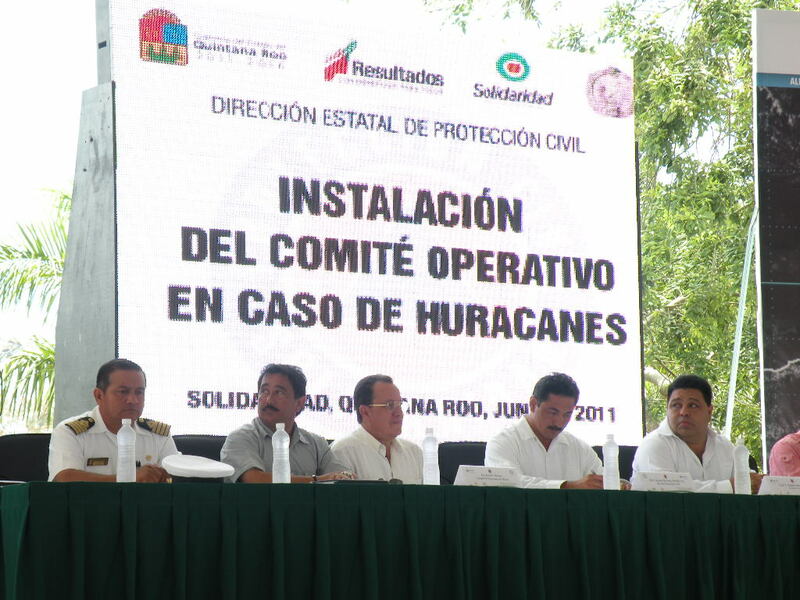 In June 2011 I was invited by the Municipal President of the Municipio [equivalent to a county or parish in the USA] and the State Director of Civil Protection for the state of Quintana Roo, Mexico, to be the keynote speaker at an important annual event In Playa del Carmen, QROO, Mexico. 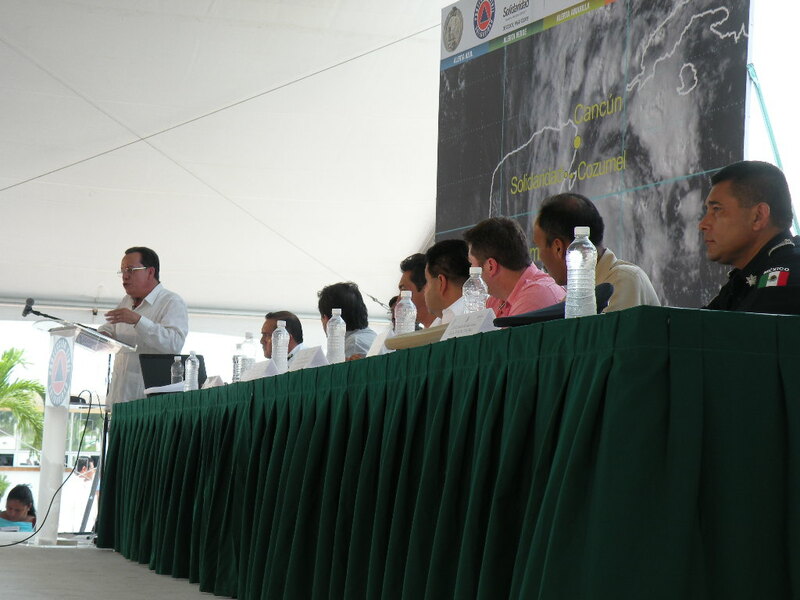 The event was the installation and swearing-in ceremony of the Operational Committee in Case of Hurricanes. This committee consists of twelve members representing various municipal agencies, the armed forces and private sector organizations, who serve by invitation of the Municipal President. The committee is activated ahead of an approaching hurricane and functions as an emergency management executive committee to support civil protection activities in executing the local emergency plan. 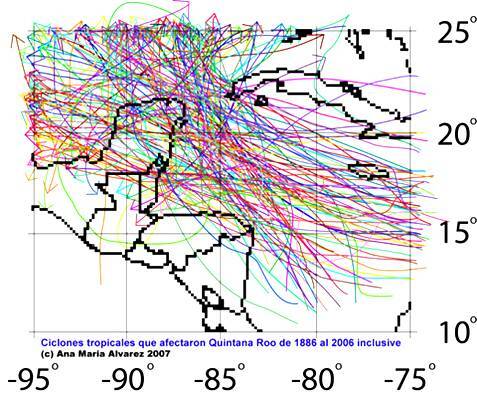 Map illustrating the vulnerability of the state of Quintana Roo, Mexico to hurricanes, which was used by Ricardo Alvarez to highlight key concepts during his keynote presentation. 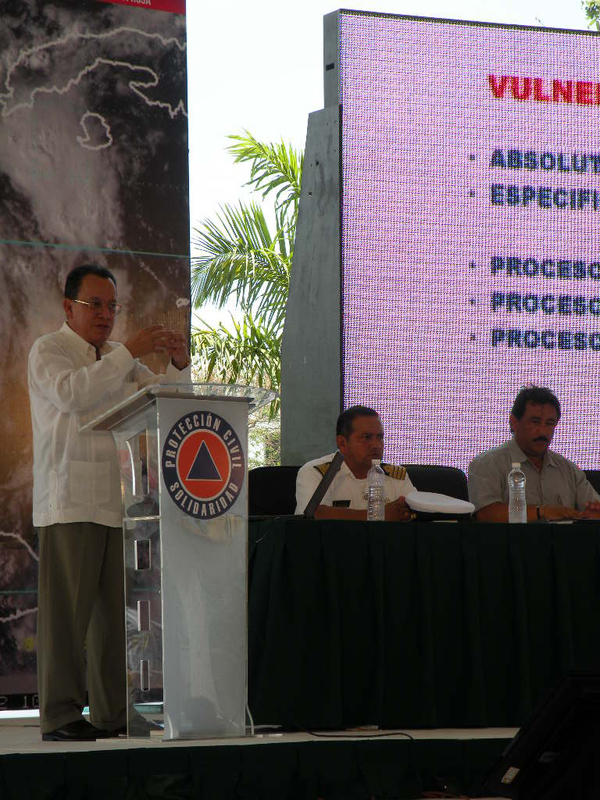 The ceremony itself had several objectives, including: (a) The swearing-in of all committee members; (b) The approval of the current emergency management plan; (c) The recording of both these actions by way of an official act of the municipal board, which becomes part of the official records of the municipio certifying the committee is legally authorized to act, and the approved emergency plan has been duly adopted as municipal ordinance for the calendar year; (d) The event also allows for the state Governor or designee, the municipal President or designee, the Municipal Director of Civil Protection or designee, and representatives of the Armed Forces and Law Enforcement to make brief presentations highlighting key points for the benefit of the community; (e) The delivery of a “Conferencia Magistral” [Keynote address] by an invited speaker who is a subject expert in matters related to hurricanes or emergency management; (f) The event also allows the general public and representatives of various local organizations to attend and be part of the same, to emphasize the importance public participation and engagement has in civil protection activities before, during and in the aftermath of an impact by a hurricane. 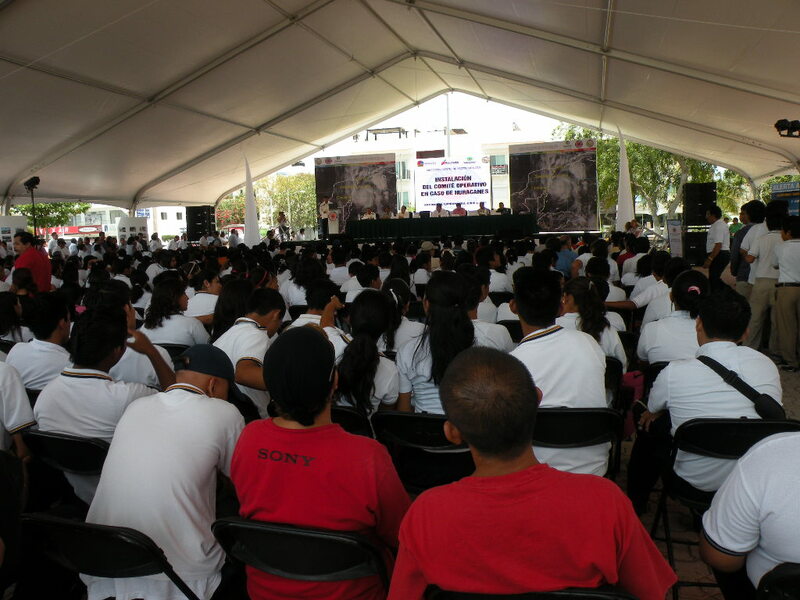 The event was held at a especially erected pavilion on the municipal plaza across from the municipal palace, which is the official seat of government in Playa del Carmen. More than 600 guests participated, including representatives of the fire department, police, armed forces [army, navy and coastguard], students from two local schools, in addition to various dignitaries including the full municipal commission, the State Director of Civil Protection in representation of the Governor and others. Numerous representatives of the electronic, printed and spoken media covered the event and were given full access to the authorities who presided over the event and all speakers before and after the ceremony. I titled my address “Sol, Aire y Agua” [or “Sun, Air and Water”] to reinforce my message that we need to use a simplified approach to emergency management by focusing of that which is critical, such as wind and water as essential components of hurricanes and also the main causes of damage during an impact. In my remarks I encouraged the existing civil defense structure to fill in existing gaps, by inviting and involving a sector that has been largely absent, that of the building design and construction professionals [meaning architectsand engineers]. I also emphasized the need to change/enhance the traditional model for emergency management on which their current civil defense structure is based, by making mitigation the central “hub” anchoring the traditional phases of preparedness, response and recovery.